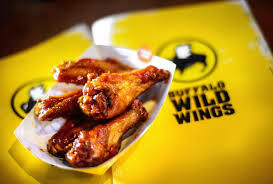 Buffalo Wild Wings 1/2 Price Wings Tuesdays! At Buffalo Wild Wings, their award-winning Traditional wings are $0.75* all day, every Tuesday. And because they are discounted, it’s the perfect time to try a sauce or seasoning you’ve always been curious about. Caribbean Jerk, Teriyaki, Salt & Vinegar—here’s a perfect time to try something new. *Valid at participating locations. Promotion subject to change. Valid for dine-in or takeout. See store for details. Wow this is an amazing Easter Gift Basket from Amazon all for only $43.95 with FREE shipping! Free Museum Admission April 6th-7th! The Bank of America “Museums on Us” program is held the first full weekend of each month in 2019. 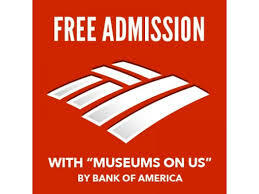 Bank of America, Merrill Lynch and U.S. Trust credit and debit cardholder get free general admission to select cultural attractions throughout the country by presenting credit or debit card and a photo ID. There are more than 225 Museums on Us partners in 123 cities across the U.S. The offer is for cardholders only. Guests are not eligible for free admission and the program excludes fundraising events, special exhibitions and ticketed shows. Find a list of participating museums on the Bank of America website. Blue Apron – Save $50! Blue Apron changes the way people cook by sending all the ingredients for inventive yet simple weeknight meals to our customers on a weekly basis. From pork buns to chicken tsukune ramen to farmer’s egg and kale hash, people are getting back into the kitchen. Select your plan with Blue Apron and save $50 OFF on your first 2 boxes. Hooters is rewarding football fans this weekend with a FREE APP during the NFL draft. Good at participating locations; call your Local Hooters to see if they are participating. The manager code for the free app is DRAFT APP. Disclaimer: Offer valid at participating locations. Offer applies for parties of 2 or more, limit one offer per table. One beverage purchase per person required (Alcoholic or Non-Alcoholic apply). Dine-in only. Offer valid 04/28/16 from 8pm – 1am ET, 04/29/16 from 7pm – 12am ET and 04/30/16 from 12pm ET – close. Not valid with any other offer. Additional restrictions may apply. IHOP has a kids eat free deal today through May 6, 2016. From 4 pm to 10 pm every day, with every purchase of one adult entrée, one child 12 and under can get an entree from the kids menu. Jack in the Box FREE Curly Fries! 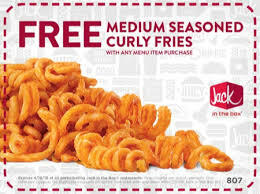 Jack in the Box has a coupon for a Curly Fries free with any menu item purchase, good through April 18, 2016. Wienerschnitzel 99 Cent Corn Dogs on Sunday, March 20th! Wienerschnitzel is celebrating National Corn Dog Day with 99-cent corn dogs on Sunday, March 20, 2016. Wienerschnitzel, the world’s largest hot dog chain, said the 99-cent special will be good all day long, no coupon required. This year marks the holiday’s 24th year and also is the 51st anniversary of the corn dog making its debut on Wienerschnitzel’s menu. The Wienerschnitzel corn dog is a chicken frank dipped in sweet honey batter and deep fried. Corn dog loving fans are encouraged to bring their appetite, because there’s no limit on this deal! 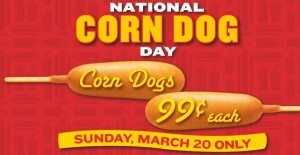 Mark your calendar for Sunday, March 20, to enjoy Wienerschnitzel’s 99¢ Corn Dogs all day long. No additional purchase required, tax is extra. Taco Bell Free Crunchwrap Thursday! Taco Bell is giving out free Crunchwraps on Thursday, November 5, 2015. From 7-11 a.m. get the free breakfast sandwich just for the asking. The 6,000-unit chain promised the free breakfast sandwich if any player stole a base during the World Series. In Game 1, Kansas City’s Lorenzo Cain stole second base, so now customers get “to steal” an AM Crunchwrap, Taco Bell said. This Halloween, you can have your treats and eat them too with spook-tacular deals from restaurants across the country. Get free kids meals and other deals at Bubba Gump, Chipotle, IHOP and more places. Here is our 2015 Halloween Treats roundup, with deals listed alphabetically by restaurant. Baja Fresh: On Tuesday, October 27 through Halloween night on Saturday, October 31, 2015, kids in costume eat free with the purchase of an adult entree. Coupon required; get your coupon at the Baja Fresh Facebook page. Baskin-Robbins has scoops of ice cream for $1.31 all day on Halloween, October 31, 2015. Choose from classics like Pralines ‘n Cream, Very Berry Strawberry, Rocky Road, Mint Chocolate Chip and World Class® Chocolate, and seasonal favorites like Pumpkin Pie and Quarterback Crunch®. Beef O’Brady’s has a kids eat free deal on Halloween. Get a free kids meal with adult entree purchase. More details in this Beef O’Brady’s announcement. Bertucci’s has a kids eat free deal and a 15% off coupon good on Halloween. CLICK HERE for your Bertucci’s coupon and for more details on the kids free offer. Bubba Gump Shrimp has a kids eat free coupon good on Halloween. CLICK HERE for your Bubba Gump coupon and more details. Carrabba’s has a free kids meal with THIS COUPON. Good Friday, Saturday and Sunday, October 30 – November 1, 2015. Good for lunch or dinner. Requires purchase of adult entree. Charlie Brown’s has a kids eat free deal on Friday and Saturday, October 30-31, 2015. Get a free kids meal with adult entree purchase. More details in this Charlie Brown’s announcement. Chipotle Mexican Grill: On Halloween, stop by any Chipotle location dressed in costume from 5 PM to close and get a burrito for just $3. New this year, you need to include an “unnecessary additive” to your costume to qualify. This is Chipotle’s way of promoting their ‘additive-free’ menu. More details on the Chipotle Boorito website. El Pollo Loco has a Halloween coupon for a free Churro, good on October 31, 2015. CLICK HERE for your El Pollo Loco coupon. IHOP: Now through Halloween, kids can decorate their own Scary Face Pancakes at IHOP using strawberries, whipped topping, Oreo cookies and candy corn. And on Friday, October 30, 2015, stop by your local IHOP for a free Scary Face Pancake. Good from 7am to 10pm. At participating locations only. One per child. Dine in only. More details here. Krispy Kreme has a free doughnut for trick or treaters on Halloween. Come to stores in costume and get a free original doughnut. More details on the Krispy Kreme Facebook Page. Krispy Kreme also is celebrating the holiday with a selection of Halloween-inspired doughnuts. Choose from Monsters, Spider Web, Pumpkin and Halloween Sprinkle doughnuts. Krystal is treating kids dressed in their costume with a wicked free kid’s meal with any full-priced adult combo purchase from 11 AM to midnight at participating Krystal restaurants. Up to two children can eat free with each adult combo purchase. More details in this Krystal Announcement. Long John Silver’s has kids meals for just 99 cents on Halloween with THIS COUPON. Choose from 1 piece fish, 1 piece chicken, or popcorn shrimp. Includes choice of side and a kids drink. One coupon per person. MOOYAH Burgers, Fries & Shakes has their Frankenfries for just $1 with a Facebook coupon good from Monday, October 26 through Saturday, October 31, 2015. You can get your MOOYAH coupon at This Facebook Page. Morton’s Steakhouse is extending their Power Hour for Halloween. Get drink and small plate specials all night in the Morton’s bar starting at 5 pm. Also enjoy a special $35 menu. 99 Restaurants has a kids eat free deal all day on Halloween. Get a free kids meal with adult entree purchase. More details on the 99 Restaurants Facebook Page. Olive Garden has kids meals for just one dollar with THIS COUPON. Good now through Friday, October 30, 2015 (not good on Halloween). Requires purchase of adult entree. Papa Murphy’s has their Jack-O-Lantern pizzas, an annual tradition, now through Halloween. At Pollo Tropical you can buy Treat Books for $1 and get coupons for three free regular fountain drinks and $2 off a Create Your Own Family Meal, all redeemable throughout November. The books are available Oct. 1-31. More details on the Pollo Tropical Website. Saltgrass Steakhouse has drink specials all weekend for Halloween. Get $3 beers, $4 Margaritas, and half off select bottles of wine. More details in this Saltgrass Steakhouse Announcement. Sbarro Pizza: On October 31 and during Mall Halloween Festivities, kids in costume can get a free slice of Cheese or Pepperoni New York Pizza with a $5 purchase. Valid at participating locations only. More details in This Sbarro Facebook post. Sizzler has a kids eat free deal all week. From Monday, October 26 through Saturday, October 31, 2015, kids in costume get a free meal with each adult entree and beverage purchase. More details in This Sizzler Announcement. Spaghetti Warehouse has free kids meals on Halloween and prizes of up to $100 for the best costume. Get one free kids meal with each adult purchase. More details at the Spaghetti Warehouse Facebook Page. Starbucks launched its first Halloween Frappuccino in 2014 with the green tea Franken Frappuccino in 2014. This year the coffee shop chain has a vampire-inspired Frappuccino. More details in the Starbucks Newsroom. Tijuana Flats has a kids eat free deal on Halloween. Get a free kids meal with adult entree purchase. More details on the Tijuana Flats website. Uno Pizzeria and Grill has a Halloween party on Tuesday, October 27, 2015. Kids in costume eat free. Good from 4 to 7 pm at all participating locations. For more details see the Uno Facebook Page. Wendy’s Now through Halloween you can buy a $1 coupon book filled with five free Jr. Frosty coupons. More details in this post. White Castle has a coupon for a free slider with any purchase, good through October 31, 2015. CLICK HERE for your White Castle slider coupon. Note: For all the deals, price and participation may vary by location, so make sure to follow the links and check with your local restaurant to confirm availability.